Maximize your 401(k) contributions – For 2014, the general limit is $17,500 for most workers with a 401(k), 403(b), or Thrift Savings Plan (TSP). To reach this number and max out your account, you would have to pay $1,458 per month. And if you are in the 25% tax bracket, making maximum contributions will save you $4,375 in federal income taxes, which is not due until you withdraw money from the account. Also, contribution limits are adjusted each year based on inflation, so check every year that you are still making maximum contributions. Pay 401(k) “catch-up contributions” ­– If you are a worker age 50 or older who has a 401(k) plan, your monthly contribution limit is higher by $5,500. Try to reach this amount to reduce your yearly taxes by up to $5,750. And the higher your tax bracket, the more money in taxes you can save. Get employer contributions – Many employers will match the amount their employees contribute to their personal 401(k) plans by contributing to the company 401(k). Most commonly the match will be 50 cents per dollar or up to 6% of pay. Maximize your IRA contributions as well – The maximum yearly contribution to an IRA is $5,500, or $6,500 for those age 50 or older. IRA contributions can be made all the way up to the April 15th tax filing deadline, unlike with a 401(k), meaning you can receive a higher tax return much more quickly. Consider a Roth retirement account – These types of retirement accounts have the same contribution limits as non-Roth ones, but when you pay the taxes on them is changed. They allow you to pay the income tax on the amounts you are currently contributing, and then withdrawals taken out after reaching retirement are tax-free, giving you much more freedom and flexibility in those later years. Get the “saver’s credit” on your tax return – If you are of a moderate to low income level ($60,000 for couples and $30,000 for individuals) and making contributions to a 401(k) or IRA, you are eligible to claim the saver’s credit on your tax return. It could be worth as much as $1,000 or $2,000 for individuals and couples, respectively. Choose investments with low fees – Paying high fees on investments put in your retirement account can cause money to spill out of it. Low-cost investments will help the money in your account grow at a faster rate. If you are considering investing in precious metals in a self-directed IRA, know that American Bullion makes it very clear what fees you should expect. You may also look through our digital self-directed IRA application for more information on the matter. If you have high-tax investments, keep them in your retirement account – If you withdraw money from a traditional retirement account, it’s taxed at regular income tax rates regardless of what kinds of investments are in the account. So if you have a retirement account and then a taxable account, hold low-tax investments in the taxable account and high-cost ones in the retirement account to avoid paying higher tax rates on your investments than necessary. Be careful about when you take the money out – There is a lengthy list of IRS rules for when you can pull money out of your retirement account, many regarding how early or late you do so. For example, withdrawing before age 59 ½ usually results in a 10% penalty on top of the regular tax on the amount withdrawn. However, after you reach age 70 ½, it is required to withdraw from your retirement account or a penalty of 50% on the amount that should have been withdrawn is incurred. 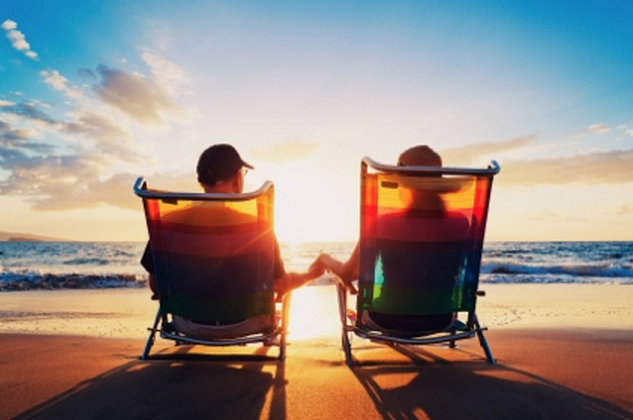 See the IRS website for a list of frequently asked questions regarding retirement plans. After taking these precautions to get the most out of your retirement account, consider securing the funds with a Gold IRA. Paper investments do not have intrinsic value like precious metals do and they are subject to government manipulation, inflation, and geopolitical conflicts. Many retirement accounts can be rolled over or transferred to a Gold IRA tax-free. Call American Bullion today at 1-800-326-9598 for more information.